Jannelly Areche is a Canfield BHP sophomore from Houston, Texas, who is also majoring in Plan II and Management Information Systems (MIS). She recently had the opportunity to intern with Amigos de las Americas in Costa Rica during her freshman summer in 2018. 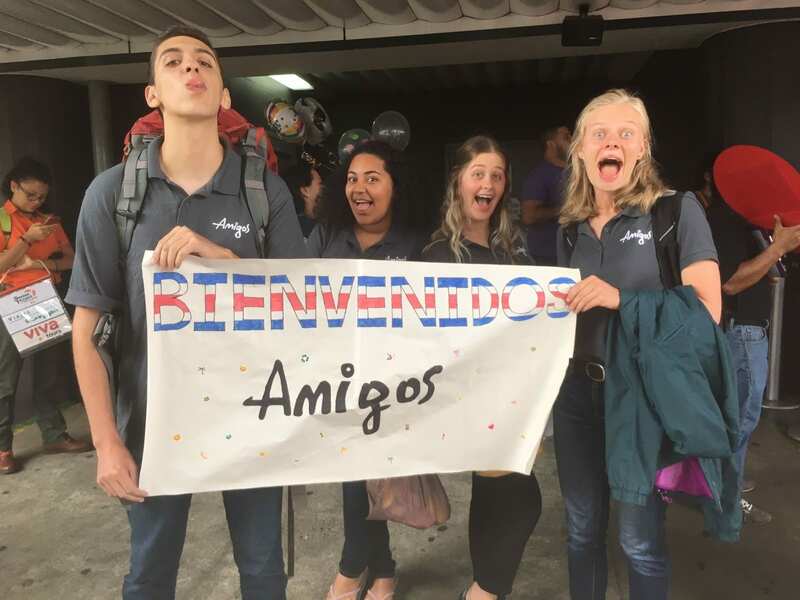 Amigos de las Americas is a nonprofit organization with 25 chapters across the U.S. Its mission is to inspire positive change in communities around the world by leading collaborative community development programs and cross-cultural immersion experiences typically over the summer and gap years. 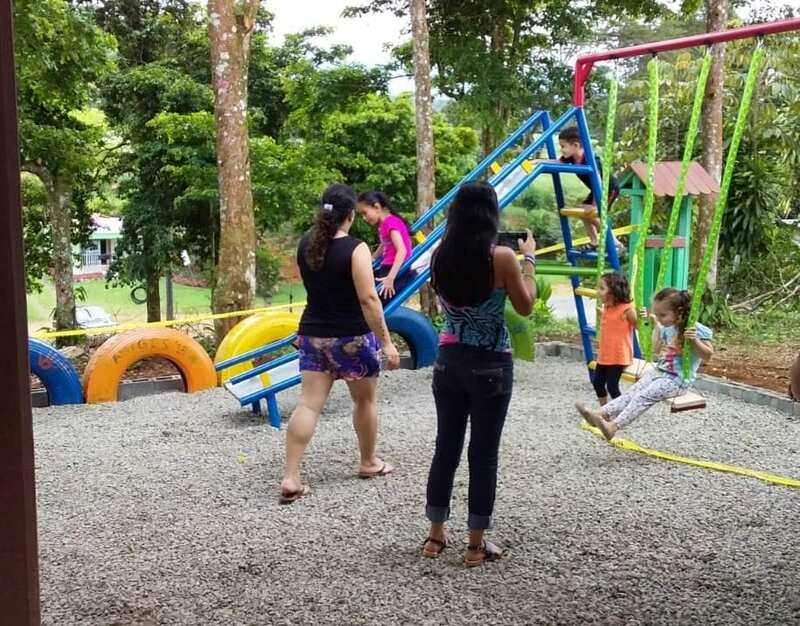 She felt challenged by the experience from the moment she arrived in Costa Rica, when she found herself leaving the airport with only an email of instruction on how to arrive at the Staff House three hours away. She had to backpack from one community to another every day as she worked with the local nonprofit Casa de la Juventud, which focused on sustainable projects in Latin America. 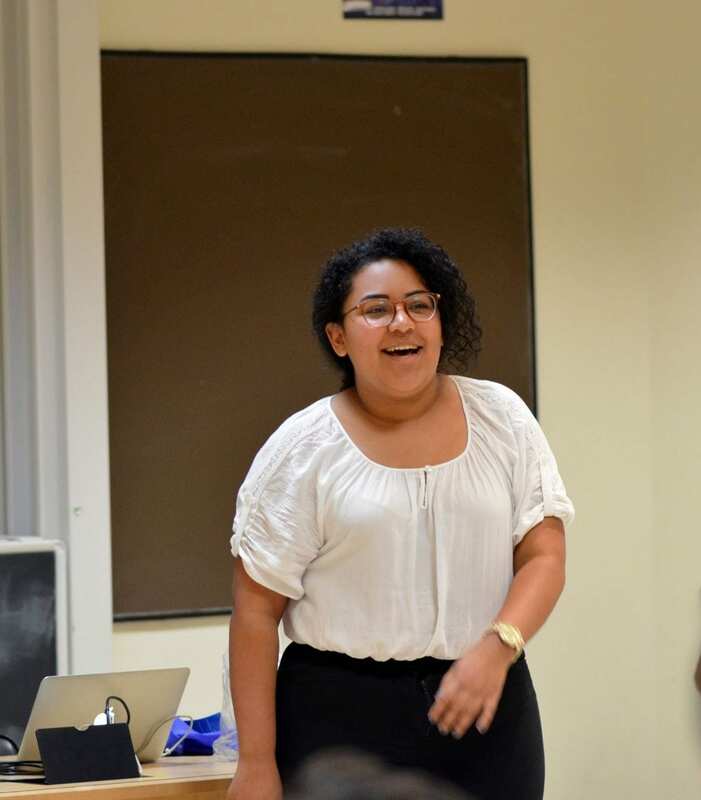 Jannelly credits her freshman honors classes with preparing her for this internship, particularly the professional communication class (B A 324H), which developed her communication and presentation skills. She says she constantly used them throughout her internship when speaking to community members and leading meetings. B A 324H provided her with the opportunity to practice presenting constantly, which boosted her confidence when speaking in front of an entire community during a large community dinner. Outside of class, Jannelly is involved in various organizations on campus, such as the Association of Latino Professionals for America (ALPFA), Student Government, Orange Jackets, and 180 Degrees Consulting, which she says help her create a positive impact in her community. In addition to her involvement in these organizations, she holds a leadership role in ALPFA as their Service Outreach Director. In this role, Jannelly hosts service events with a variety of nonprofits around Austin with the goal of encouraging ALPFA members to identify which causes are important to them and providing them opportunities to do so. Shara Ticku is the co-founder and CEO of C16 Biosciences, which uses microbiology to brew a sustainable alternative to palm oil. 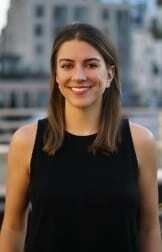 Previously, Shara worked at Goldman Sachs before attending Harvard Business School for her MBA. She graduated from McCombs in 2010 with degrees in Business Honors and Plan II Honors, and she credits this combination with building her ability to communicate and work in teams. Read more about Shara’s fascinating journey from banking to healthcare to combating climate change with her own company. You have held a variety of positions in different industries and now you’re the co-founder for a sustainable technology firm. Can you walk me through where you’ve been and how you got to where you are today? It’s been really fun. My first job after UT was on the trading floor at Goldman Sachs. I had an internship there one summer in college and really loved it – I loved the high energy of the trading floor, I loved how working in markets requires you to know about all the macro and micro news worldwide, and I had great relationships with my team and clients. But ultimately, I realized that I didn’t fundamentally care very much about public equity market. I spent about a year reflecting on what mattered to me — do I need to be in a job that I’m passionate about? or is a good, fun job enough? Ultimately, I realized it was the former — it was really important to me to spend my days working on something that I cared about, and I’m incredibly lucky that I’m able to pursue something that I love. For me, that meant working in healthcare/biology. I’ve spent most of my career since Goldman working in healthcare — both globally (at the United Nations and the Clinton Health Access Initiative) and domestically (Progyny, a fertility benefits company). Healthcare has been such an interesting market, because I’ve always felt like I was working on market failures. In my work at the Clinton Health Access Initiative, I worked on one market failure: the drug development model and the impacts that has on drug pricing and access worldwide, particularly in developing markets. I got to work with Big Pharma on interesting incentive structures to increase access to basic medicines at affordable prices in developing countries. From there, I was hooked on market failures. When I went to business school, I was interested in another market failure — why is there so much innovation that happens in academic research labs that never gets commercialized? And what are the different levers we can pull to help change that? That’s how I ended up founding C16 Biosciences. What is c16 Biosciences and what work are you doing there? C16 Biosciences uses microbiology to produce a sustainable alternative to palm oil. I’m the co-founder/CEO. Why are we working on this problem? Palm oil is the most popular vegetable oil in the world, found in 50% of products on supermarket shelves, in everything from shampoo to Nutella. It’s a $60 billion industry and a really valuable oil. But the industry drives 10% of greenhouse gas emissions each year in order to make palm oil. Over 250 CPGs and 9 countries have made public commitments to stop using “conflict” palm oil, but they’ve failed because there has been no viable alternative until now. C16 Bio makes a bio-based palm oil that’s sustainable, but also competes on cost and quality. We started working on the company about 1.5 years ago and we are hoping to launch our first products within the next year. What inspired you to start c16 Biosciences? I actually wasn’t looking to start a company of my own, but rather my co-founders and I came to this problem as humans who saw a big problem in the world. My co-founder Harry and I both had witnessed the negative externalities of palm oil first-hand. I was on a trip to Singapore when I was working at Goldman. Indonesia is one of major producers of palm oil in the world. Each year, Indonesia burns its forest to clear the land and make way for new oil palm trees. That year, the smoke and haze from these forest fires in Indonesia were so bad that flights were grounded, schools were canceled, and pregnant women were not even allowed to walk outside. I didn’t understand how we could accept all of this just to make a vegetable oil. So my co-founders and I dug into the problem and tried to understand why traditional agriculture had not been able to solve this problem in the past. Instead, we asked if microbiology could solve the problem. The three of us believe strongly that microorganisms are the factories of the future, and palm oil seemed like the perfect market. Over 250 companies had made public commitments to replace palm oil, but they had failed to progress toward their goals because the market wasn’t able to produce a viable alternative. When we identified an organism and a production process that could produce a cost-competitive, sustainable alternative to palm, we knew this was something we wanted to spend our time building. 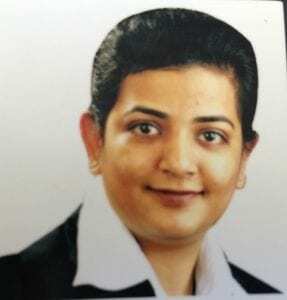 How did you decide to pursue an MBA, and how is your degree informing what you do today? Considering I had a BBA, I didn’t seek out an MBA for specific skill acquisition. I went to get an MBA for two reasons: to develop my network and to transition from global health/life sciences to domestic health/life sciences. Going to HBS provided me with the platform to pursue a new space, the connections and network to learn about that space and seek out interesting job opportunities, and (most importantly) to spend two years focused on myself. Once you start working, you feel like the race has begun — you’re constantly seeking more (money, advancement, etc.). It’s really difficult to find time to focus on better, which is a real luxury of going to grad school. Getting an MBA wasn’t cheap, but I wouldn’t trade it for anything. It allowed me to hop off the treadmill for a bit, to focus on what is really meaningful for me, and to chase after that dream. How do you think your Business Honors and Plan II degrees aided you in what you are doing? The smaller class sizes and interactive natures of the classes definitely help with communication and ability to work in teams. Additionally, I was constantly surrounded by a tight group of incredibly sharp people who challenged each other to constantly do better and be better. But more than anything, I just loved Canfield BHP and Plan II – high quality classmates, small classes, fun topics. I wouldn’t have done it any other way. Internships are a free chance to learn while building experience. I did internships everywhere from the State Capitol to Wall Street to local magazines. If you’re curious about a field, go try it for a summer or a semester. For so many reasons, it becomes much harder to change paths once you’re out working full-time. Also, most people want to help students – take advantage of your utexas.edu email address to reach out to people and just learn about their job and industry. Spend some time thinking about what you really want out of a job. We spend most of our waking hours at work — and as an early stage startup founder, I work all day, every day. I don’t think about “work” anymore — I think about how I spend my time. It’s worth thinking really hard about what motivates you and how you want to spend most of your days. By Stephanie Cantu. As told by Cindy, Derek, Elmer, Evie, Jerry, Kirsten, Nachiket, Richard, Robert, and Sreya. 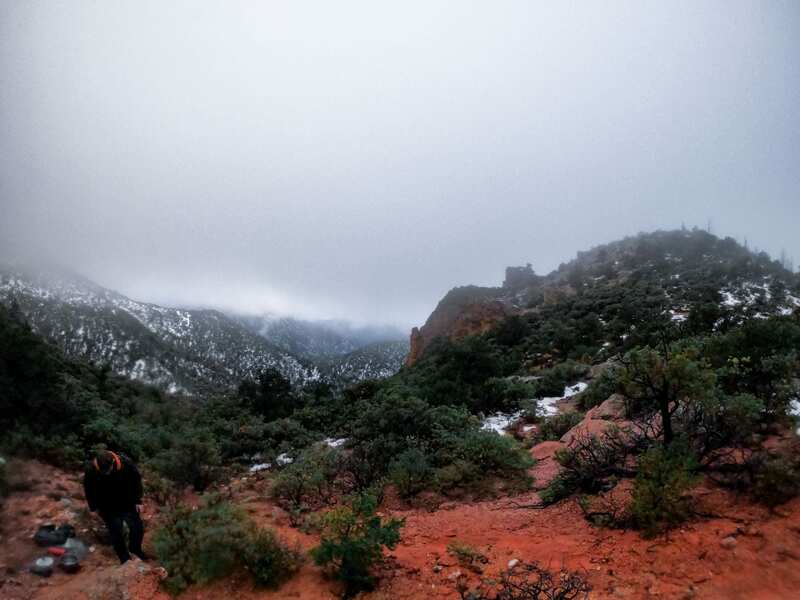 Backpacking for several days without technology may not be how most people envision spending their winter break, but everyone agreed that their love of nature grew as a result of at tending. “I’m more motivated to get my friends together and go out into the Hill Country for a hike,” shared Kirsten. Jerry added, “I’m more romantic about the absence of technology. I bought this small notebook to take all my notes on instead of a laptop or a tablet.” The students also shared how rewarding it was to “work for the view” and hike to the top of Kennedy Peak for the sunset. “On most other trips, I would normally just take a bus to the top of a vista. 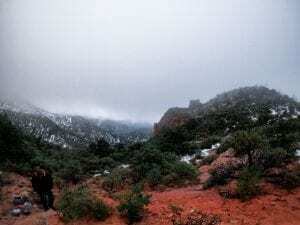 It was much more satisfying to know I hiked to the top myself,” said Evie. Each day, we learned NOLS curriculum before the day’s hike began or on the trail. For example, one day a few of us took a snack break and learned about risk assessment and likelihood using red and green peanut butter M&M’s and our instructor’s hiking poles. In addition to formal curriculum, we also developed our personal leadership styles and skills through daily feedback from our hiking groups. “I learned I’m a stronger person and leader than I realized,” said Sreya. The leadership feedback also impacted Jerry, who has carried what he learned on the trek into his honors courses: “When I got my MIS 301H group, I immediately sent out a schedule with due dates for completing parts of the project. I was worried about being too commanding or dictatorial, but then I remembered all the feedback I got on the trip about how helpful it was when I took charge, and I felt less doubt,” he said. 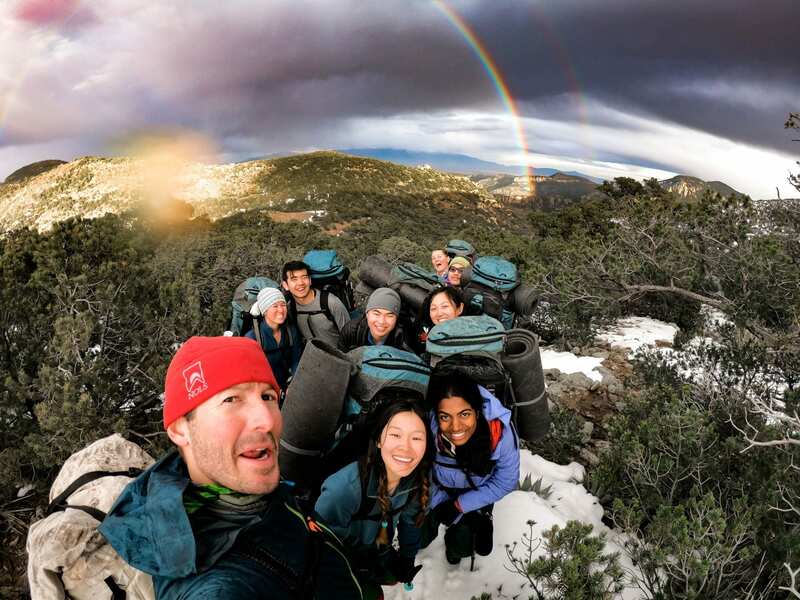 In the end, NOLS provides invaluable leadership experience and the chance to connect with the great outdoors and each other. 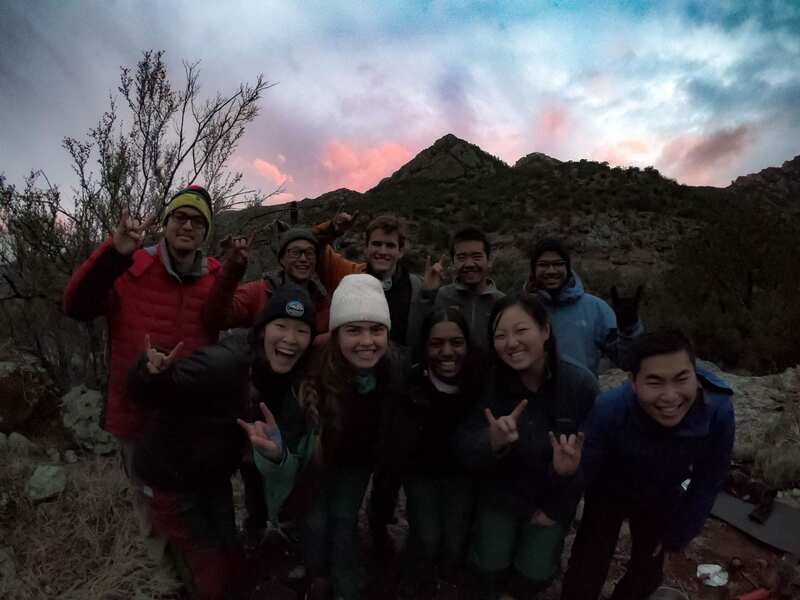 The 2019 expedition encourages you to attend because, according to Cindy, “We’re the only undergraduate program in the country to do a course like this. It’s such a unique experience; when else would you have this kind of opportunity?” We promise if you go, you won’t regret it. Check out a student-made video of our experience here! You can also read Evie’s personal blog account of her experience here. Curious what our 2017 and 2018 cohorts have to say? Read about them here and here. Graham Smith is a junior Business Honors, International Business major, and Entrepreneurship minor who spent his sophomore summer in Shanghai interning at SMH International Consulting. His desire to immerse himself in different cultures began after his freshman year with a Canfield BHP study abroad experience in Argentina, which he calls “transformative” in opening his eyes to the world of international business. In Argentina, Graham took a course entitled Non-Market Strategies in Emerging Markets, which discussed tactics for successfully conducting business in emerging markets with unpredictability related to institutional voids, governmental regulation, and cultural differences. He was able to use these lessons during his internship in China. Although he faced a harsh communication barrier, his colleagues and peers understood a basic level of English and with patience on his part, he formulated strong friendships and was able to delve into the political and cultural scene. 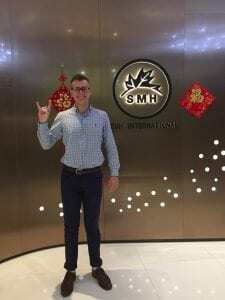 While in Shanghai, he also took on another challenge: developing a team proposal for The President’s Award for Global Learning. This initiative grants $25,000 to seven teams to implement a project outside the United States in categories of entrepreneurship, social impact, or furthering research. Graham’s interdisciplinary team, spanning business, computer science, and liberal arts, partnered with a public education nonprofit, FUNPRES, and a host school, Colegio Don Bosco, to introduce computational thinking education in El Salvador. While ultimately not selected for the award, Graham finished the experience with a 76-page proposal and invaluable skills in project development, international relations, and interdisciplinary thinking. Graham will be in Costa Rica this summer as part of a Texas McCombs Social Entrepreneurship Practicum. To secure an internship in Costa Rica following the practicum, he has been reaching out and building relationships with potential employers. It is telling of his charismatic personality that these connections have transformed into friendships. Graham’s mission in life is “to inspire people to be unapologetically themselves,” and it is no surprise that his sincerity and authenticity endear him to people across the world. His path has not been entirely straightforward, however. He started off in McCombs as a Business Honors and Finance student, then switched to Management, and later Marketing, feeling unsatisfied with all of them. Although International Business is not a common major and is often viewed as impractical for getting a job, Graham invokes a Jim Carrey quote: “You can fail at what you don’t want, so you might as well take a chance on doing what you love.” He points out that on an international campus like UT’s, there are numerous opportunities if you look for them. Graham immerses himself in his surroundings. For the last year, he’s been going to Ecstatic Dance Austin every Sunday. It’s a place where people come together and free form dance to global music. He also listens to 5 hours of Spotify a day (Grateful Dead and The Beatles are his top artists), enjoys meditating on campus at the James Turrell Skyspace, and likes reading philosophy in his hammock. If interested in hearing more about his own experiences, be sure to reach out – you’ll leave the conversation a little bit more enlightened about the world around you.